NestIn extension for Visual Studio will group files in a project. The files will be displayed nested one underneath the other. Not to mention that, for one reason or another, none of the solutions could be implemented in my specific scenario. DealExtreme has tons of electronics with low prices and worldwide delivery. Additional sites I'm trying out include GearBest and FastTech. Mongoose is a lightweight web server that works on many platforms. Binary for Windows is available for download at the site above. Binaries for Linux are available through distributions: "sudo yum install mongoose". IndexedDB Polyfill is "a polyfill to enable IndexedDB using WebSql." Why is something like this needed, you say? Well, the issue comes from the current lack of support for HTML5 storage standards. As the proposal for WebSQL implementation has been deprecated, the candidate for client-side storage has become IndexedDB standard. This is a key/value object store, not a relational one. However, there are indexes and stores, so it is quite capable as a storage mechanism. While major desktop browsers support IndexedDB in their current iterations, mobile browsers are not up-to-date with support. The major issue is Android's stock browser which, if you are creating mobile apps, is the execution sandbox for the app. This means that using IndexedDB in an app that executes in the Android browser will not get you anywhere. By default, that is. IndexedBD is not supported on all browsers. This IndexedDB polyfill exposes the IndexedDB API in unsupported browsers using WebSQL. This shim is basically an IndexedDB-WebSql adapter. Using this polyfill, you can use a single offline storage API across browsers (Opera, Safari, Firefox, Chrome and IE10) and even mobile devices (Phonegap on iOS and Android). This is currently a lifesaver, making the code longer-lasting as you can write code that uses IndexedDB APIs and have it work seamlessly through the HTML5 implementation across various browsers. 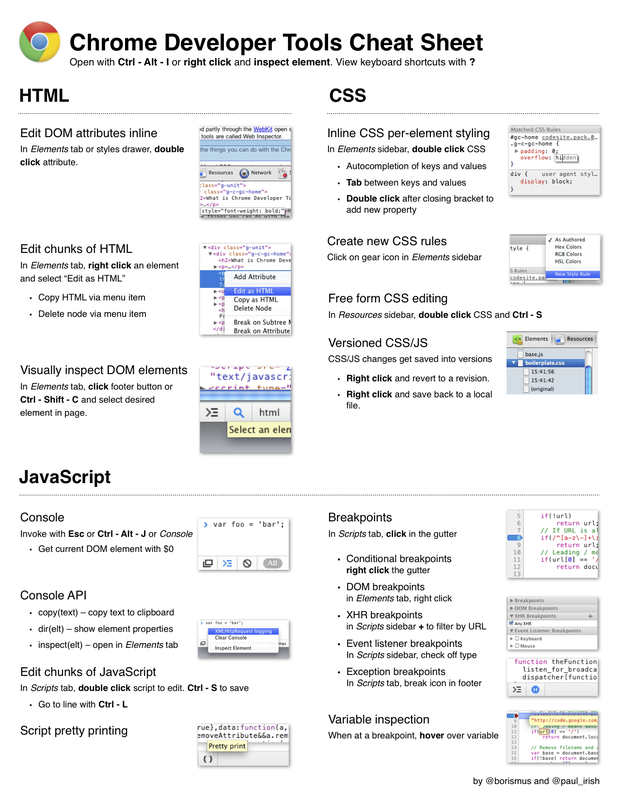 To see which major browsers support HTML5 features, see this page. Android SDK Manager hangs while "Fetching https://dl-ssl.google.com/android/repository/addons_list-2.xml"
Just had an issue with Android SDK Manager, where it hung while "Fetching https://dl-ssl.google.com/android/repository/addons_list-2.xml". The issue is resolved by checking "Force https://... sources to be fetched using http://..." in Android SDK Manager, Tools -> Options. Currently there is no way in Chrome Developer Tools to delete IndexedDb. In order to do so, we need to open the profile directory, then get into the IndexedDB directory, and delete the storage there directly through the file system. If annoyed by the lack of handy options for preventing computer sleep while watching movies, Caffeine is the answer. There is a Gnome Extension if you are using Gnome Shell but if you are using Cinnamon then that doesn't work. Fortunately, there is a Caffeine application that works in that case. It is not in official Fedora repository but is available at RPM Sphere (link). The project homepage is here. Software can also be downloaded from there and installed by following these instructions (link). That, however, did not work for me but installing the RPM package right after this did. Edit: Since Caffeine does not seem to work with current Fedora 18, this still seems to be the only way to prevent Gnome from going to sleep. Run redsn0w as Administrator on Windows. If you get "Exploit Failed", check these instructions - link. The cause is improper DFU mode activation. Release home button only after 15 seconds, not before. If you get "Missing Keys.plist data for this build", follow these instructions - link. Always select the IPSW v6.0 with redsn0w v0.9.15b3. If you cannot connect after this, see this video. During jailbreak, select "Install iPad baseband" separately from "Install Cydia", meaning you'll have to jailbreak twice. Once for each of these options. To configure npm (Node Package Manager) to use a proxy server, check config page. In my case, the issues are mostly fixed by setting HTTPS_PROXY and HTTP_PROXY to the proxy server in format "server.domain:port", i.e. proxy.org:8080. Install SQL Data Tools as a part of SQL Server installation, or add this feature after an initial installation. This will install Visual Studio 2010 shell, project types, etc. Install Microsoft Visual Studio Team Explorer 2010 - ISO (link), for working with TFS. Apply Microsoft Visual Studio 2010 Service Pack 1 (Installer) (link). A neat Mozilla Firefox plugin that allows you to download videos from Internet web pages. Noda Time is a port of Joda Time to .Net. It contains good utilities for dealing with Dates and Intervals. There is only limited support for stored procedures in Entity Framework 5.0. Here are some suggestions for how to map Select SP, with multiple result sets, to an entity. so that permissions are available for recompilation and installation of the modules. When using Redmine as an issue tracker, I used to make backups of the database manually. Then, later, I put the code to make backups into the script that starts Redmine. However, this is also not the best solution. A better way would be to have the database directly in a (dropbox) synchronized directory. This will create a symbolic link to the file outside the Redmine directory and it can also be on a different partition or drive. Using full file path in the config file did not work but using symlinks works around that limitation. The same concept can be applied to other user-editable files. Whole directories can be redirected. The files users upload to Redmine are stored in "files" directory. Warning! Before removing links see this (link). Properly configuring one-to-many relationships may be simple in Entity Framework but one-to-one and one-to-zero-or-one can be tricky unless it is something you're doing every day. Below is a reference for those who don't. A simple way is to run gnome-open by pressing Alt+F2 and typing the name of the program above. Create a .desktop file for a handler application, in "/home/alen/.local/share/applications". Make sure that the MimeType is set in the .desktop file. Open Dolphin (KDE file browser), select a file you want to handle, right-click it and select Properties. Next to Type, click the wrench icon to open file type editor (KEditFileType). Set the handlers there (add, edit, remove, or set preference order). This setting has effect on the whole system so Mime Type handler preference order will be reflected in other file browsers (Nemo, Nautilus, etc.). Reference for creating application launchers (.desktop files) in Gnome. Here is an excellent combination for editing your code online. Cloud9 integrates with Bitbucket for both authentication and repository access. This means that, if you have some code on BitBucket, it can be edited through c9 editor inside your browser. No need to clone any repositories and have any extra development tools. SQL Service Manager (link) is still alive and well. This is a software that has an icon sitting in the tray, allowing quick access to SQL services. These services can be monitored, started, and stopped by clicking the tray icon. A feature that was previously part of SQL Server itself long time ago but is now sorely missing for desktop deployments mostly. We know that night-time exposure to blue light keeps people up late. We believe that f.lux adjusts colors in a way that greatly reduces the stimulating effects of blue light at night. There are editions for Linux, Mac, and Windows available. Note that on Fedora, it is fairly easy to run Windows version of F.lux under Wine. It works under Gnome the same as in Windows! This applies to Entity Framework versions 4.1 and above. In brief, the steps are liste below. "Open the .edmx file in the Entity Designer. Right-click an empty area on the Entity Designer surface and point to Add Code Generation Item. In the Add New Item dialog, select Online Templates and type DBContext in the Search Online Templates text box. Select the appropriate version for your template (5.0, if you want to target the Entity Framework 5.0). * Edit the template files, replacing $edmxInputFile$ with the name of the model generated earlier (i.e. model.edmx) in all three template files. * Delete .tt files related to the .edmx model and leave the diagram file, if desired. To create a screenshot on Android (4.2 in this case) press Volume Down and Power buttons together and hold for 2 seconds. The screenshot notification will appear and from there it is possible to preview the image with Gallery and share it through available providers. The following SQL command will display all the columns of certain type. This works on Microsoft SQL Server. It will display table name and column name. In this case, we are displaying all columns of type datetimeoffset.